The wasps have proven persistent, relentless, and resourceful. They have found the weakness in the blue things: there has to be an opening in the container for the milkweed plant. The wasps have been able to sneak their ways in even through this tiny opening. So here, we introduce our latest round of defenses: total containment. The milkweed plants are in pots, and the pots are inside a mesh tent. The mesh of the tent is very fine -- too small even for mosquitoes, much less wasps. The only openings have zippers, so the inside is safe. You might have already figured out the one problem with this setup -- if the milkweed is protected by something that won't let in anything, how will the monarch butterflies lay their eggs on the milkweed? The answer to this question is that they can't. 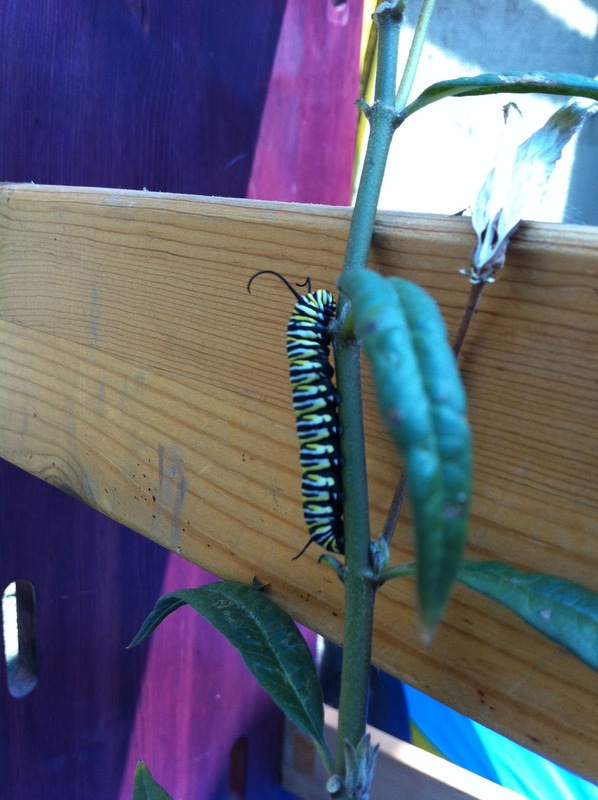 Instead, we have milkweed plants all around the garden. The butterflies lay eggs on those plants (we'll have another article here on Archie's Garden to talk about protecting the eggs). When the eggs hatch, we carefully move the small caterpillars inside the tent, where they can grow safely on the protected plants inside. It seems like they like it! 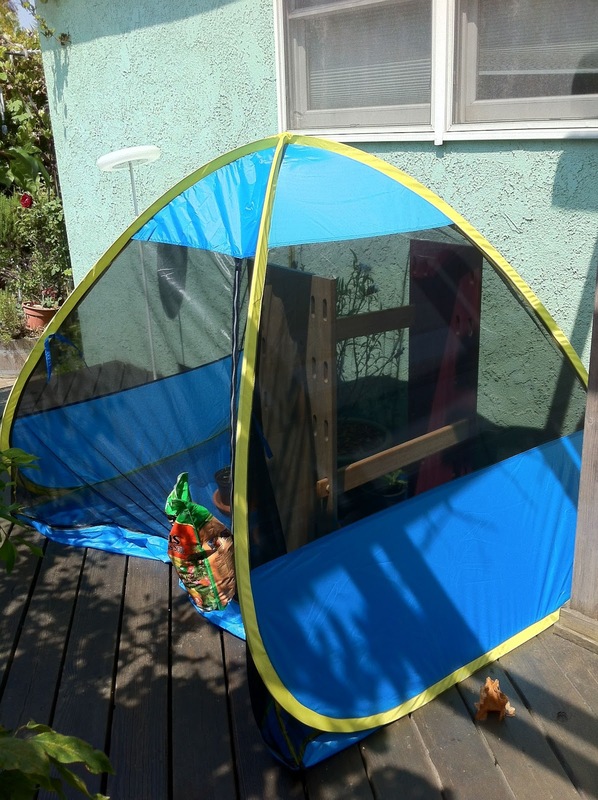 Several of the caterpillars have already pupated on the mesh of the tent. Here's a picture of one of them. 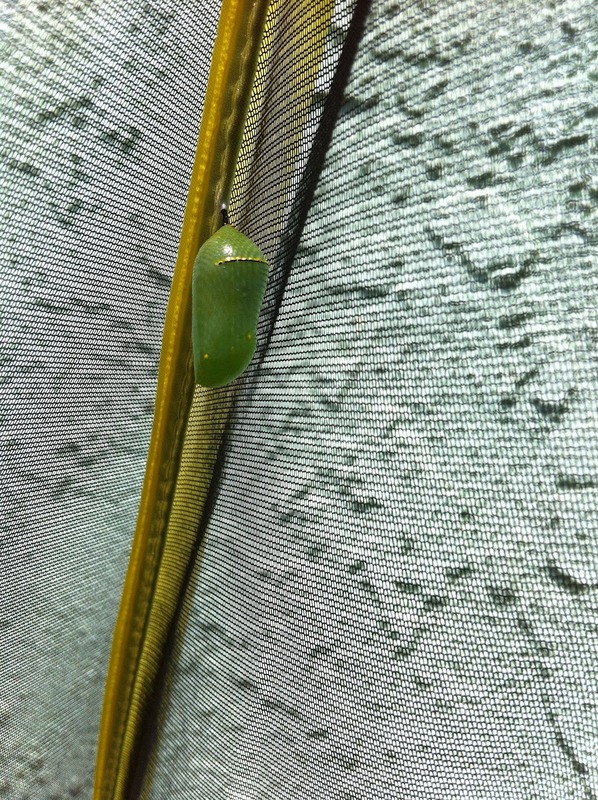 In about ten days, when the butterflies eclose (come out of their pupas), we will unzip the tent flaps, and they will be able to fly away. We'll have pictures here!